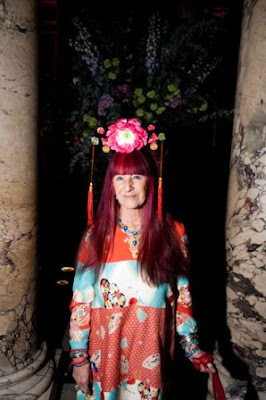 Hats: An Anthology by Stephen Jones, is the current exhibition held at The Victorian and Albert Museum in London. Stephen Jones, one of fashion world’s most prolific milliners, creating elegant, experimental and often whimsical hats under his wn label, as well as for the most prominent fashion houses and designers of our time, including Jean Paul Gaultier, Vivienne Westwood, Thierry Mugler, Christian Dior, John Galliano, Comme des Garçons and Marc Jacobs. View the magnificent V and A site for the exhibition here. I am a stationery addict. When my friends were asking their mothers for clothing for their Barbie dolls, I was asking for pens and paper, drawing pencils and sharpeners. I have a thing for pencil sharpeners. 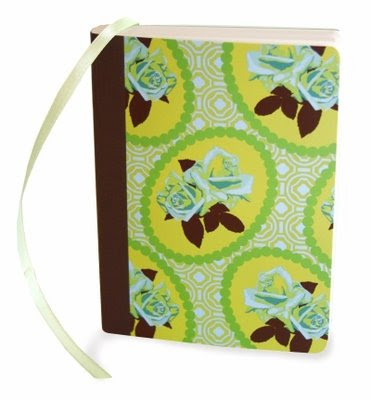 And note books. In my teens I discovered letter writing and that kept me busy well into my twenties. 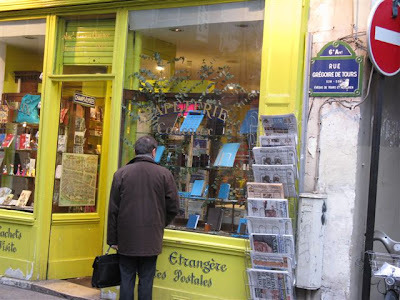 French classes at the Institut Francais were my initiation to the tradition of elegant letter writing. 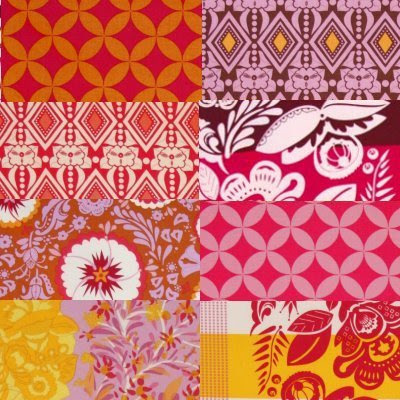 Anna-Maria Horner adds under her creative belt a brand new collection of stationery. 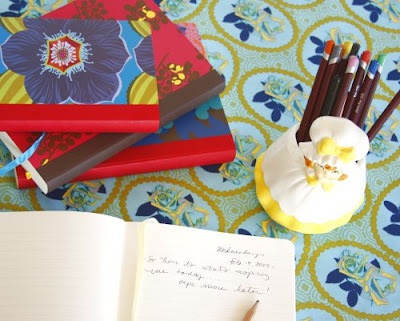 The collection, featuring Anna-Maria's vibrant designs, includes journals to get creative juices flowing, boxed notes, recipe keepers and organizers for the kitchen. They are destined to be the pride of a happy letter writer and they also make welcome gifts for lady friends of all ages. Wishing Anna-Maria the best in her new venture! 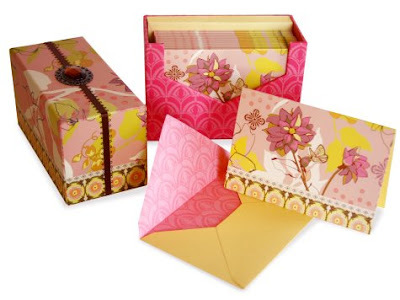 Anna-Maria's paper goods collection can be found at her on line shop. 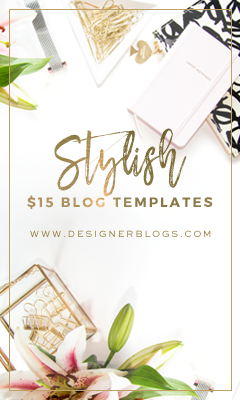 One of my favorite blogs, bloggers and person in particular, has her blog featured today by Blogger. For a well deserved break from whatever you do, please stop by and say "hello" to Merisi's Vienna for Beginners. Here is a bite of what to expect. Attention, you may get hooked! Bravo1 That is the kind of blogging I like, intelligent, tasteful, thoughtful. I HEART it! 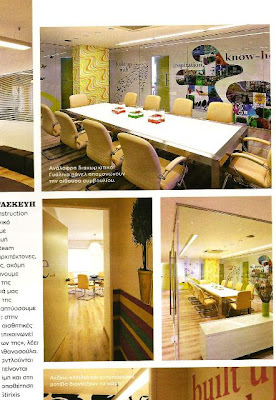 Today in Love Domino Style, we're going to take a look at some more pictures from past issues of Domino Greece. This is the November 2007 issue, featuring popular singer Despoina Olympiou on its cover. 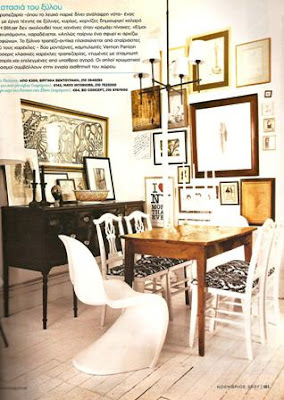 In every issue the guest discussed their favorite objects and style of decoration. 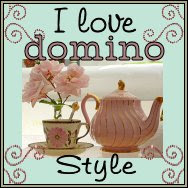 Domino has in fact been a magazine of fashion in decoration. 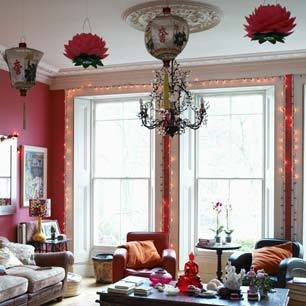 Like the In Style supplement, it has linked decoration with fashion styling, as the photo below illustrates. The only person Greek people had heard of from this issue is Oscar de la Renta. 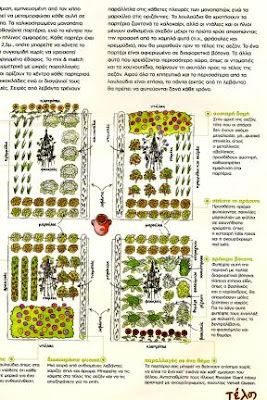 The magazine presented his garden and its layout in an article called "High Gardening". Illustrated below is another aspect of Domino, profiling business people, making them known to the general public who might need their services but didn't know they existed. 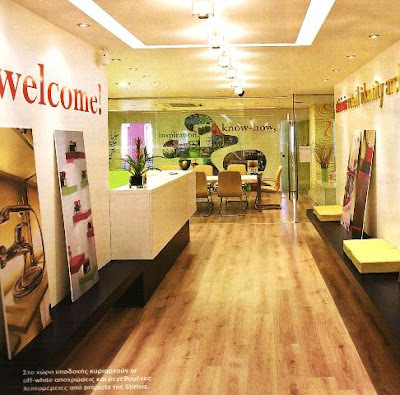 (In this issue, Stirixis, Retail Identity Architecture Construction). The reason why I picked this issue, though, is because several of is articles summarize what Domino stood for. 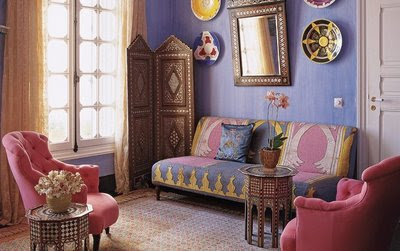 Stylish and sophisticated, yes, oftentimes eccentric (I loved that), but in a more democratic way, not just for those with money, the wannabes or those in the trade, but also those who were in the know and wanted to find ways of applying what they saw as stylish to their own spaces. This issue features a special on those very tricks. 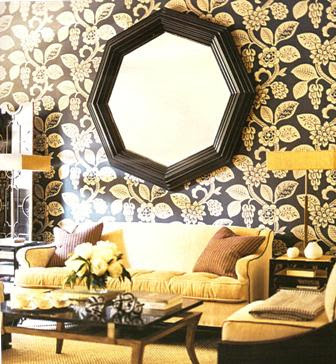 They include wallpapering, cornicing, adding color to small spaces, and clever concealing. 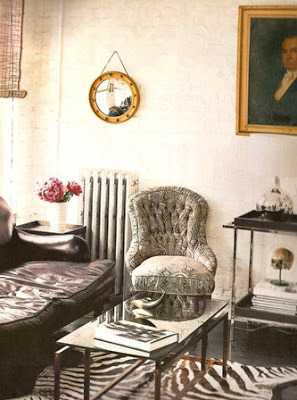 and the art of stylish living in small spaces. 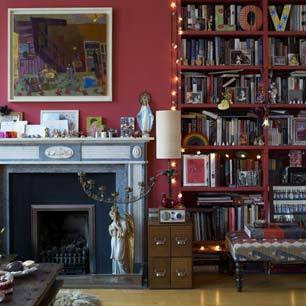 Next week,on Love Domino Style, I shall post about one of my favorite Greek fashion designers and his fabulous, eclectic home. Stay tuned. The most recent addition to my library is India Knight's The Thrift Book: Live Well and Spend Less. 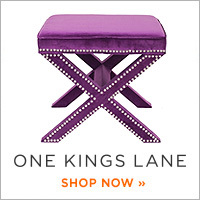 I first read about it in a post at Etsy. Knowing Ms. Knight's dry wit and down to earth wording, I knew she would have done it again. And she did. I eep her book in my bathroom for easy reference. And that is a huge compliment. Her previous book in my collection,Neris and India's Idiot-proof Diet: From Pig to Twig had such wonderful advice not only for weight loss but also for dealing with everyday situations and people, that it is full of marginalia by yours truly, enough to write the Companion book. I first fell for Ms. Knight's writing several years ago, when in our first, memorable family holiday, I took with me My Life on a Plate . I was famously laughing aloud and I eventually had to stop from time to time to keep everyone updated on the developments! I still have that paperback, sand falling from its leaves now and then. It is also the only fiction book that made it to my favorite books list on my profile page. That says something of my relationship with her writing. Ms. Knight is also a columnist for the Sunday Times. I always leave her toward the end of my reading session, Monday afternoon, to sip on her clever, funny and often opinionated writing. So, you can imagine how I jumped on my heels when I found out at the newsagents that the current issue of Living Etc. 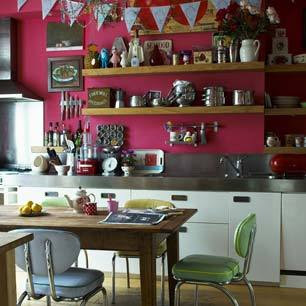 featured her London home! It's modern in a classic shell. It has a lot to say. It's India Knight to me! 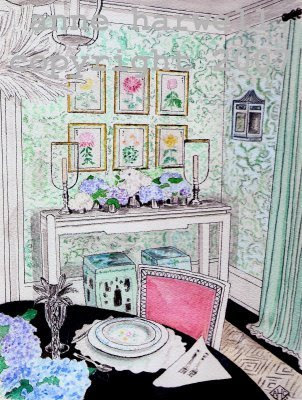 Last Tuesday I posted about artist Anne Harwell and her ability to turn contemporary home interiors into works of art, through her paintings. Today, I'd like to tell you about the work of another artist that got me hooked in the blogosphere at around the same time as Anne. She is Carol Gillott of Paris Breakfasts. She has been indeed my breakfast, lunch or dinner in the past couple of years, and I believe you'll enjoy meeting her, too. 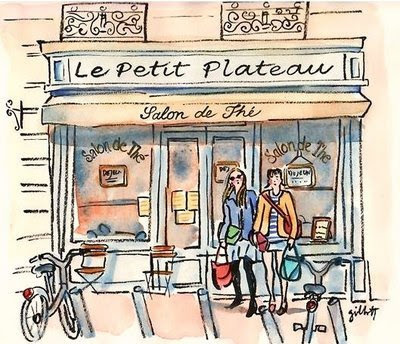 She photographs, she paints, she writes about Paris, about a way of life,she shares her impressions of the simple pleasures on both sides of the ocean. Carol lives in New York, but she paints Paris dreams. Pierre Herme, Laduree and Fauchon have been tempting me everyday through her watercolors, and the most perfectly shaped roses infuse my office with their scent. Now Carol ventures into the world of architecture. 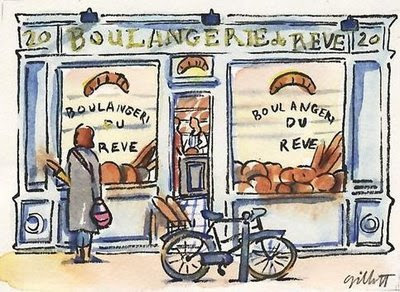 Her newest paintings feature the facades of traditional French shops, la boulangerie, le salon de the, la poissonerie. Beautiful, like the paintings you'd expect to find in a lovingly created children's book, her paintings reflect her tender look upon her subjects. 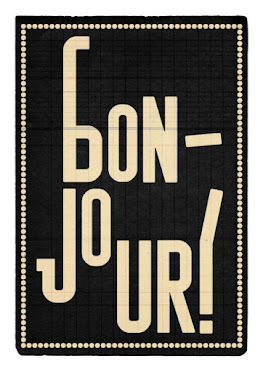 Paris, the people, the culture, the lifestyle, the french joie de vivre. 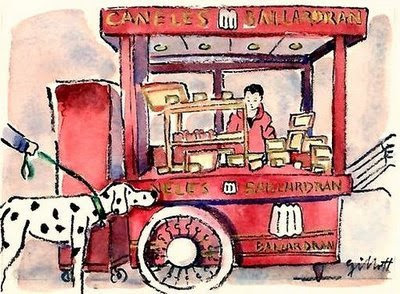 Merci Carol for gracing my blog with your pictures. Carol Gillott's original waterolors are available for sale at her Etsy shop. 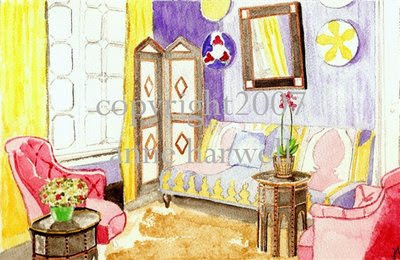 Visit her blog and subscribe to receive your own dose of French chic through her paintings and photographs. 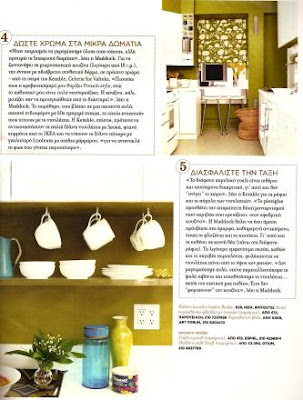 Two weeks ago I posted about a weekly meme I was starting here at The Happy Turtle, named "Love Domino Style", the purpose being for those who enjoy the magazine's style to be in touch with the beautiful interiors its editors had created. Such a meme deserves a blog button, so my talented friend Tara created a beautiful button, which I believe reflected beautifully the magazine's spirit. 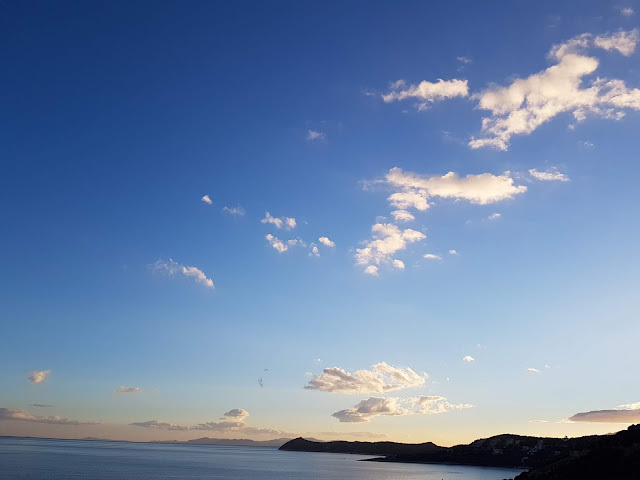 "The photo in the domino button you created for happy turtle is my photo, taken by me, owned by me, styled by me, of my room for which I won the domino decorating contest". I am not going to pass on the rest of the correspondence which, in spite of Tara's immediate action to create a new code providing credit, ended with Ms. Gold's "Remove photo on button". And I am not going to offer an apology either, because her photo, one of thousands doing the rounds in the web these days, had not a copyright, name, or watermark on it, neither did I copied it from her blog, if she has one. Otherwise I would be happy to ask/acknowledge/give credit/link, as I always do in my blog. But apparently Ms. Gold thinks she is so important, that everyone who sees her photograph of her teapot should immediately identify it as being her own. 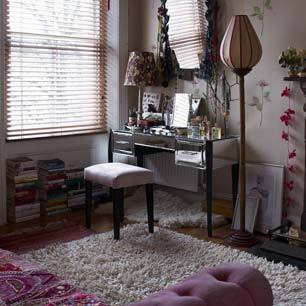 "my photo, taken by me, owned by me, styled by me, of my room for which I won the domino decorating contest". This is the biggest show of egotism I have seen in a barely two line long sentence. I am not a lawyer as Ms. Gold is, as I found out by googling her name. And I had no idea by seeing her name that she was the person who won the Domino contest, although I had left a comment about her victory at a blogging friend's blog, 14 months ago, without knowing her. I think the before and after pictures were necessary. They bring things into perspective, especially coming from someone without formal training, it is an amazing transformation. Well done Catherine, and thank you Corine! Because I am not arrogant or greedy and do not possess an inflated ego, but I am rather a filoxenos Greek, I am offering the links to the posts that Hidden in France and Apartment Therapy (as I found via Google) had written for Ms.Gold. That is all about Ms. Gold and the photograph of her teapot. 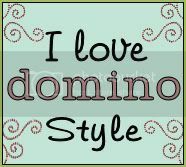 The Love Domino Style meme will run as normal next Tuesday. Two important exhibitions are taking place in Athens. 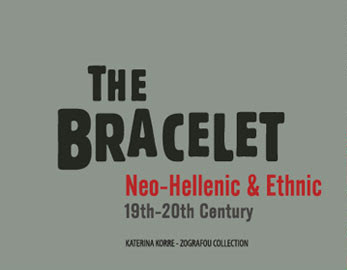 The first, at The Foundation of the Hellenic World, presents the bracelet collection of Katerina Korre-Zografou, Professor, Department of History and Folklore, University of Athens. 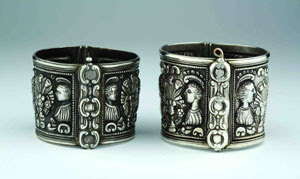 It includes more than two hundred bracelets, Greek and foreign, from the 19th and the 20th century, reflecting aspects of everyday life. Duration: till the end of May 2009. The book accompanying the exhibitions is available. 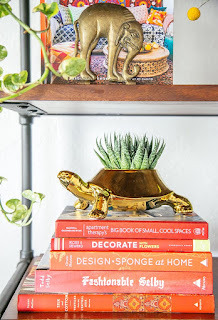 Read more and see photos here. 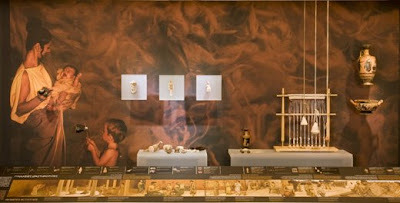 At the Cycladic Art Museum, visitors are invited to a virtual tour in time and space: the tour starts from the world of the supernatual (gods) and the myth (heroes), goes through the realm of Eros, follows the activities of everyday women and men in their private and public life, explores their religious behavior, and concludes with their attitudes towards death and their beliefs about afterlife and the Underworld. 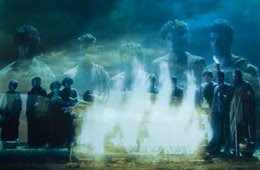 The exhibition is accompanied by a booklet in Greek and English and a DVD. I hope you all had a lovely week. A big Thank You to those who stopped by and those who e-mailed a word of encouragement. I really appreciate it! 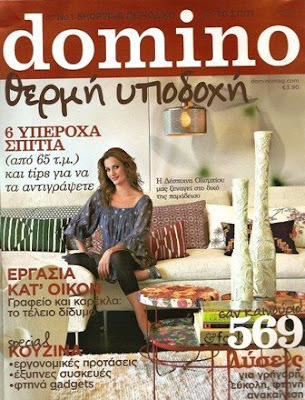 Today I am not going to post from my Greek "Domino" collection. (You may read my first post on a random issue here). I am going to post (with permission) about the work of an artist I came across early on in my blogging and who has remained a stable favorite of mine. 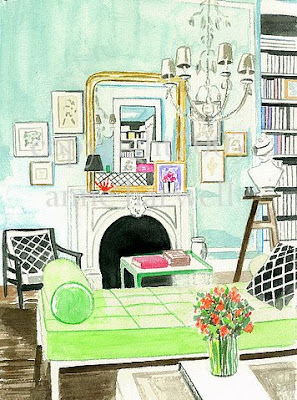 Most of you are familiar with Anne Harwell, the charismatic artist of works of stylish interiors, including her iconic chair. 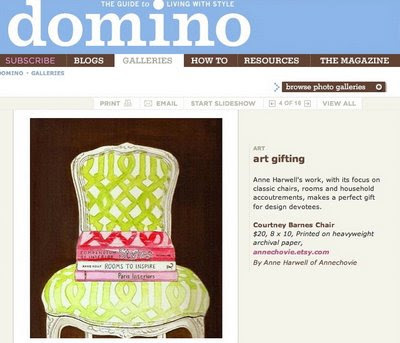 Anne of annechovie has been featured in the Domino website in the past. 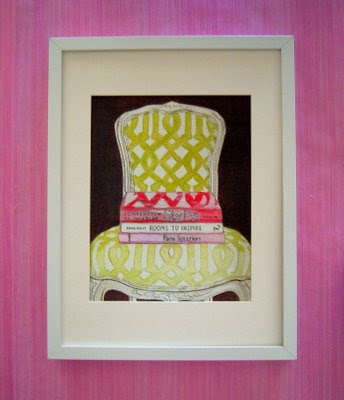 Her work had been chosen for the magazine's on line gift print gallery. 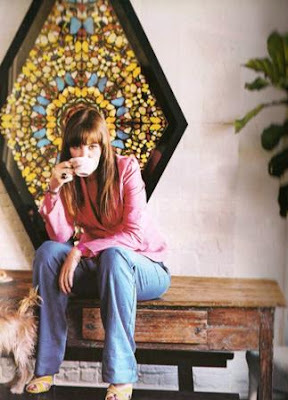 Her style and flair are instantly recognisable. She knows her subject, its demands and limitations. 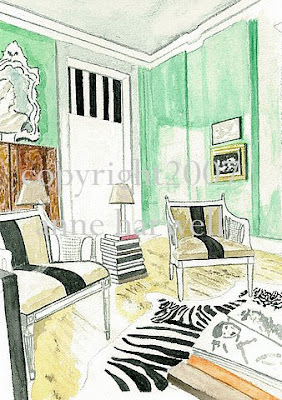 With her confident hand and her eye for detail she captures the particulars yet she never fails to communicate the overall impression, the feeling of a room or of a collection of objects. Isn't she amazing? 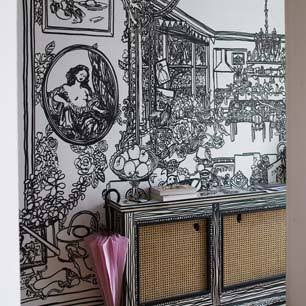 Isn't it amazing how a magazine has inspired so many people to create anew kind of interiors, beautiful, fresh stylish and affordable, while at the same time it has inspired talented people to create beautiful works of art out of its pages? 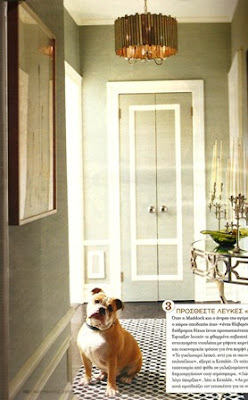 Thank you, Anne for capturing our favorite magazine's style so beautifully! 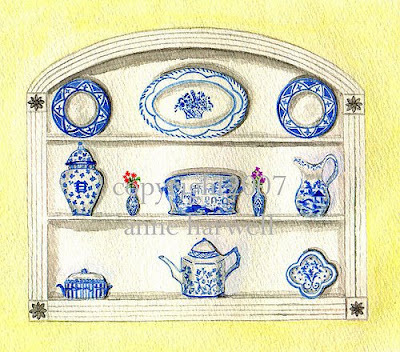 Anne Harwell's blog can be found here. 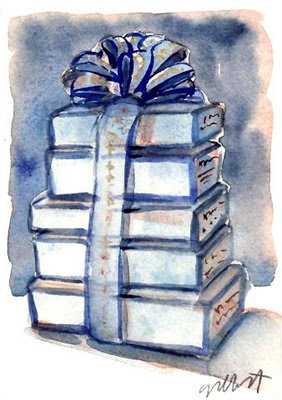 Click here for her etsy shop, where you can pick her prints, and here for her Flickr pages.Enjoy, and share the love!